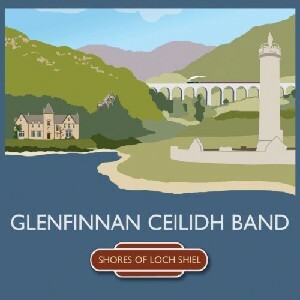 Shores of Loch Shiel, The Scottish Music Shop - The Best Selection of Scottish CDs and Scottish DVDs. Second musical offering from these stalwarts of the traditional music world. Iain MacFarlane (blazin' Fiddles) on fiddle. Colm O'Rua (Daimh) on banjo. Dougie Hunter (Hoogie) on accordion and Ingrid Henderson (Cliar) on piano pedigrees that guarantee.